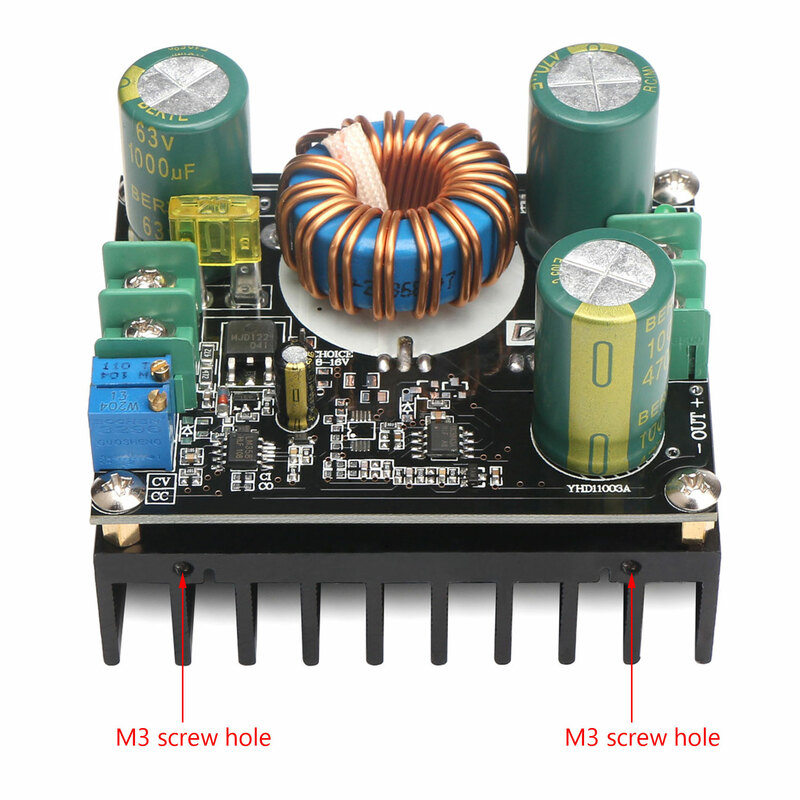 Adjustable output current. 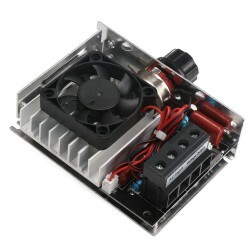 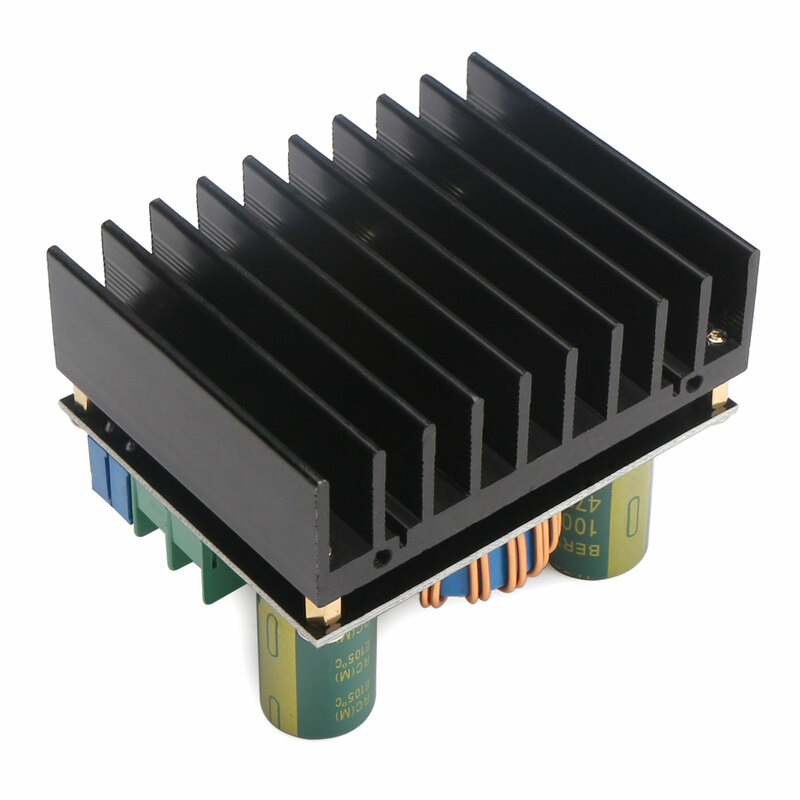 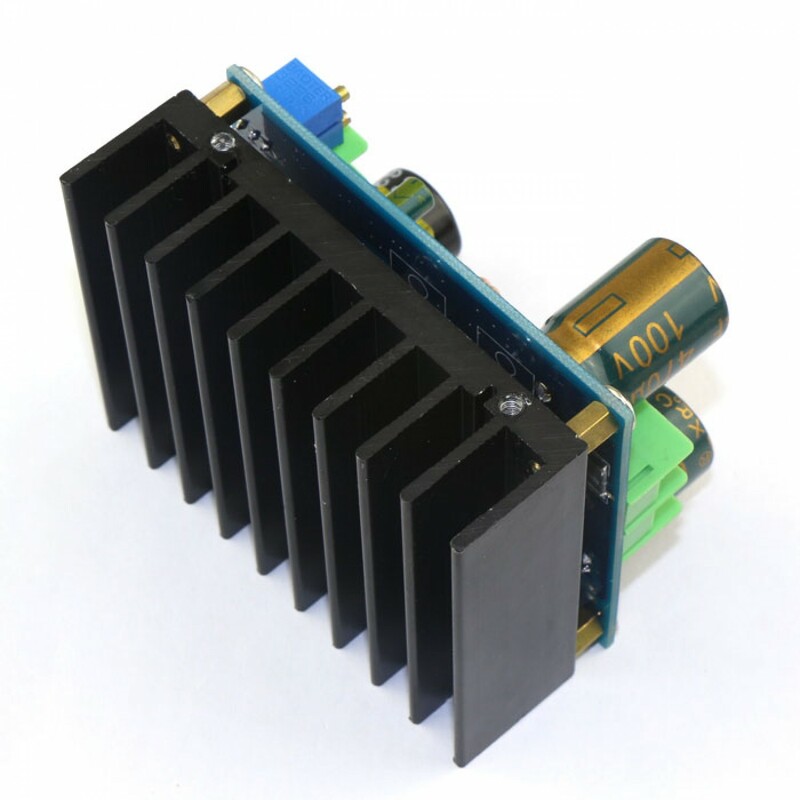 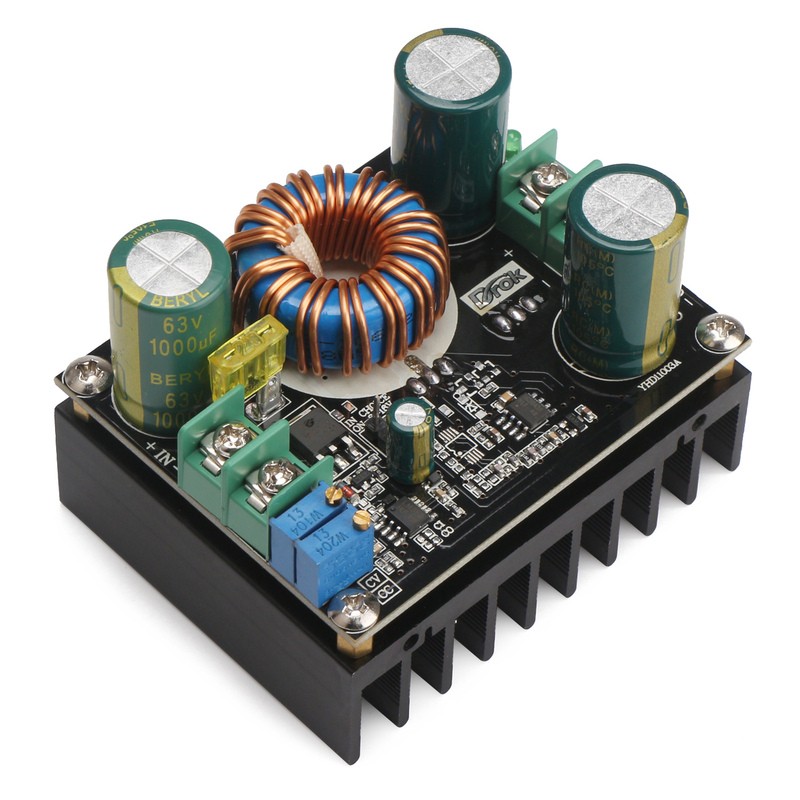 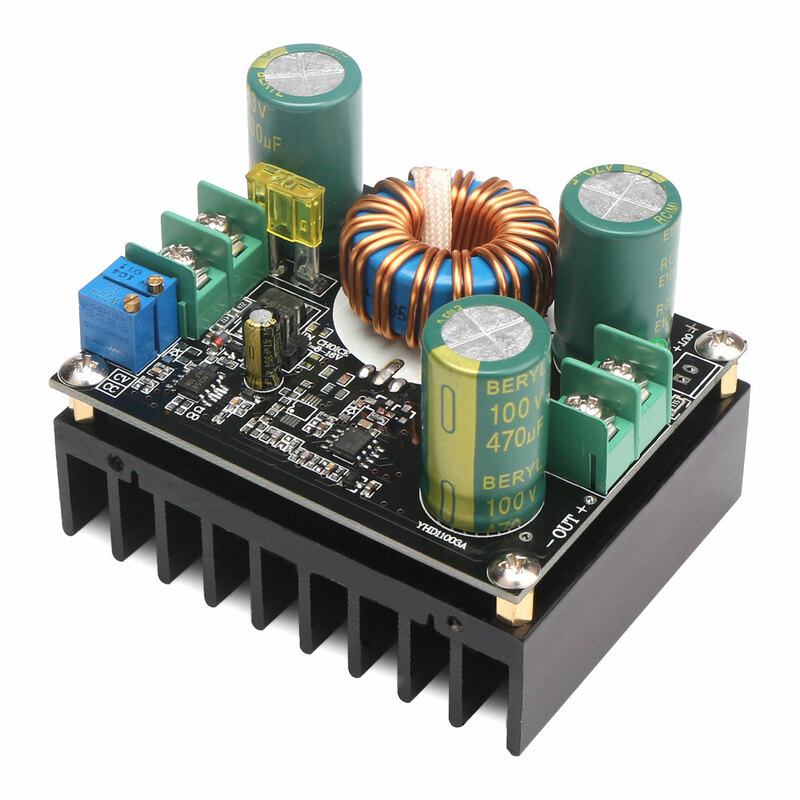 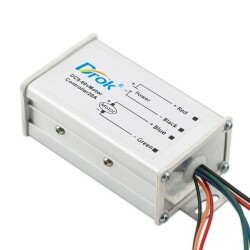 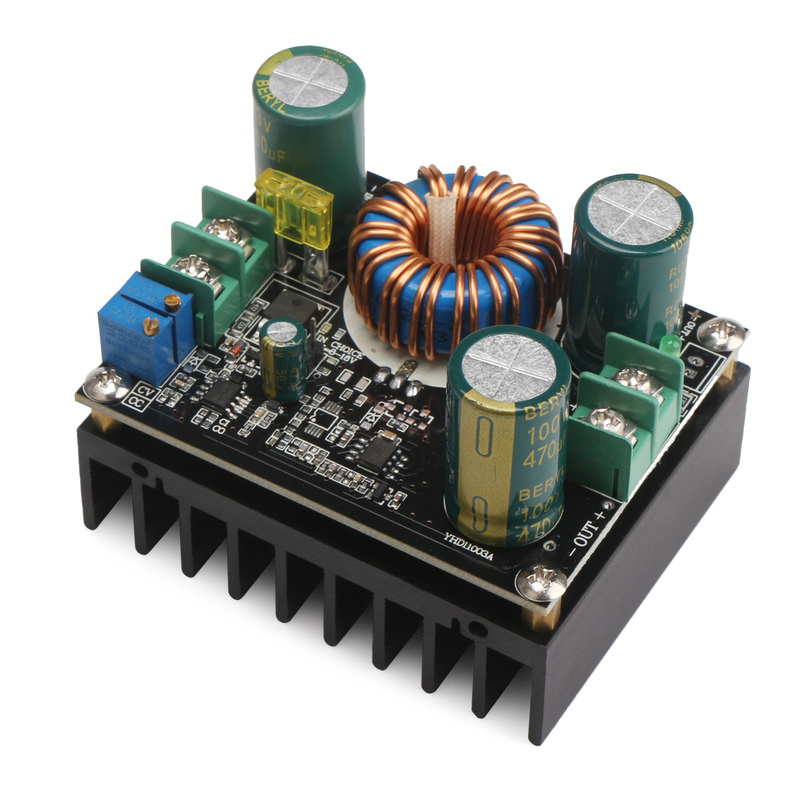 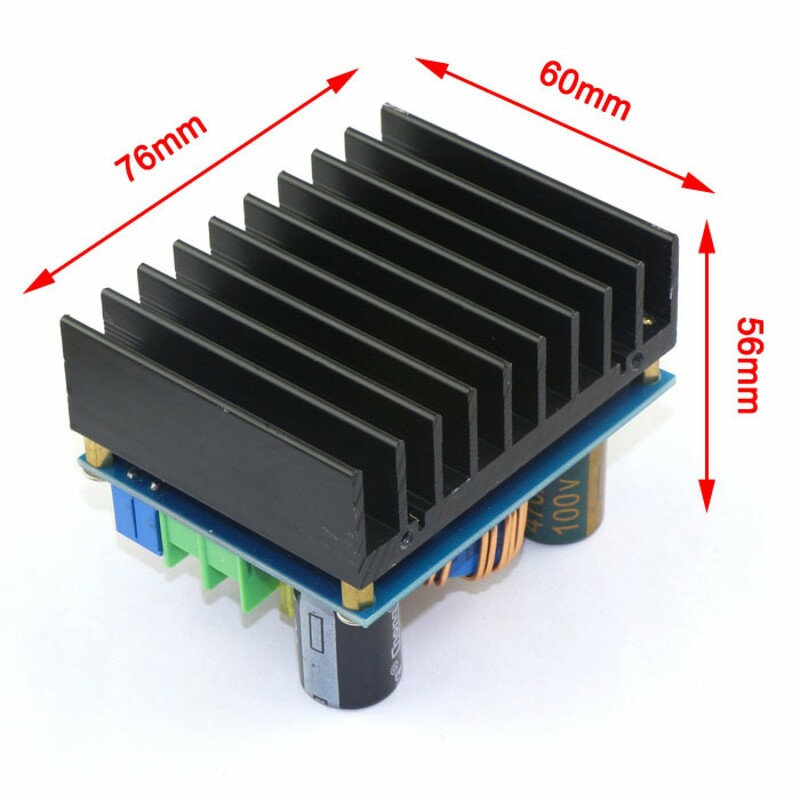 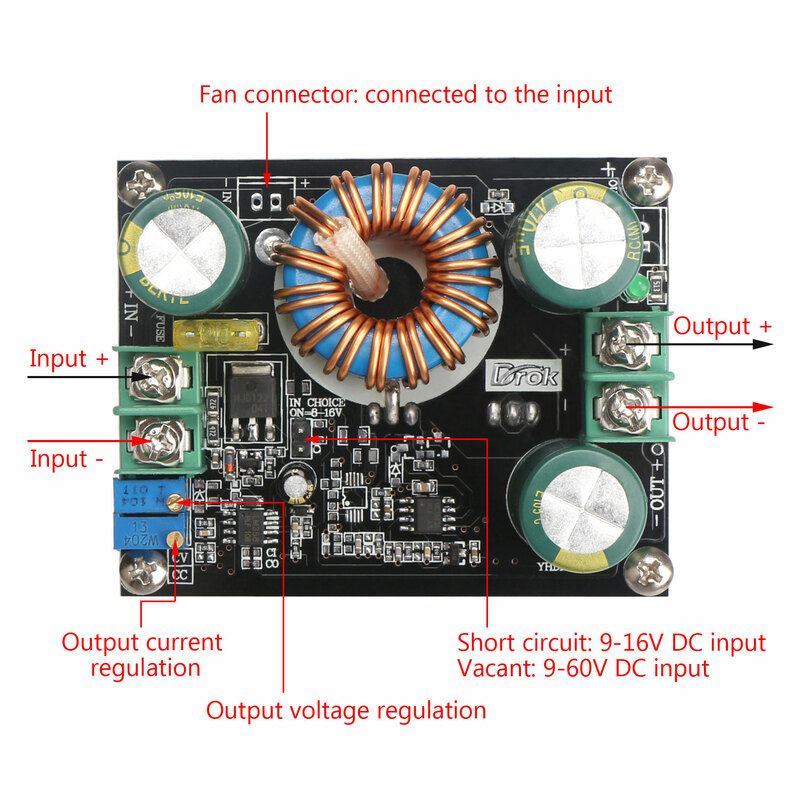 600W booster module, 12v-60V wide input voltage, 12-80V wide adjustable output voltage, Ultra-low dropout voltage. 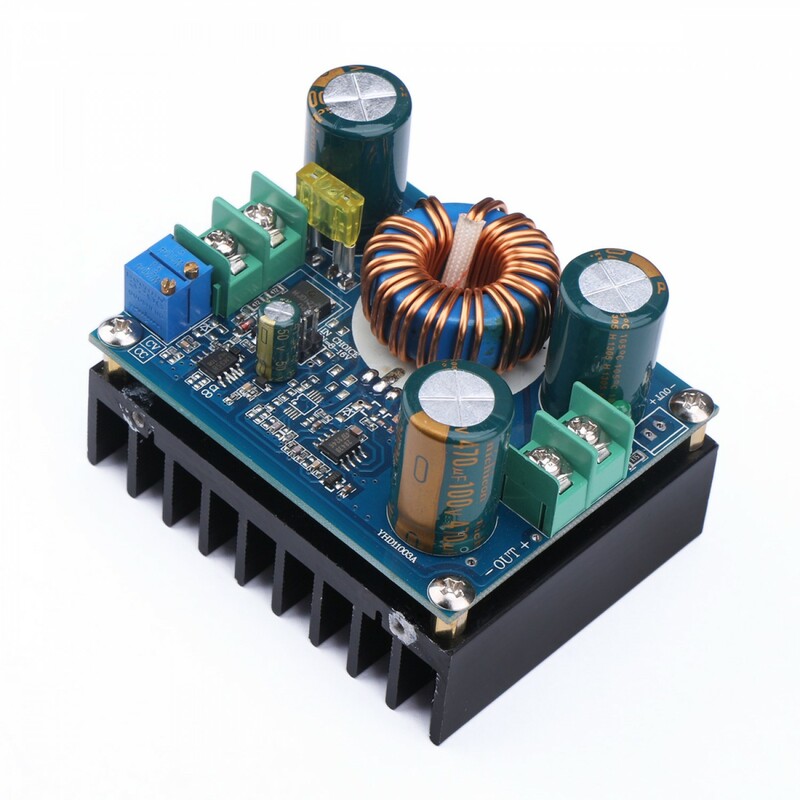 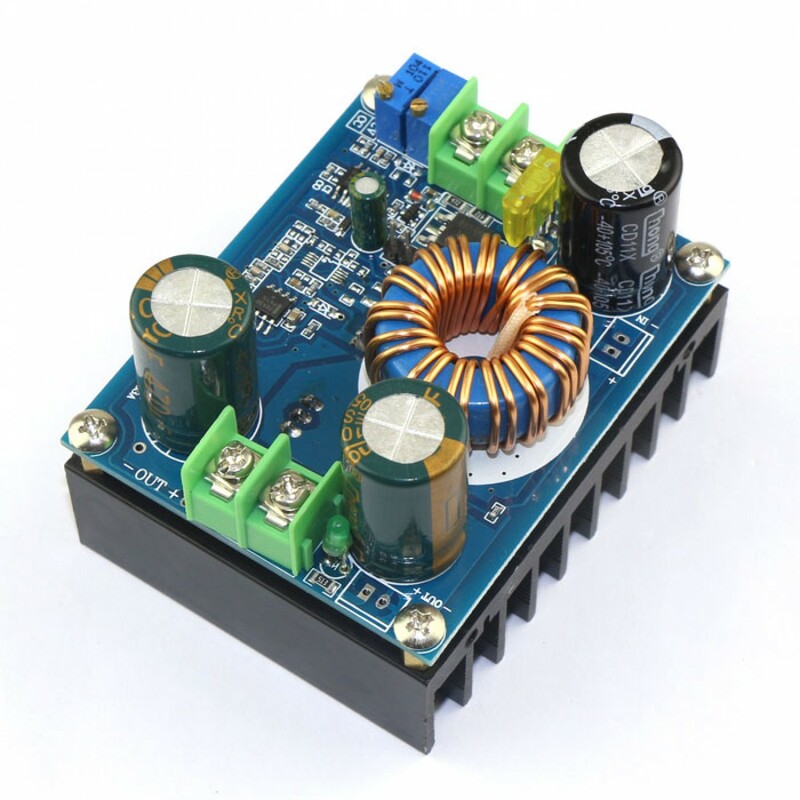 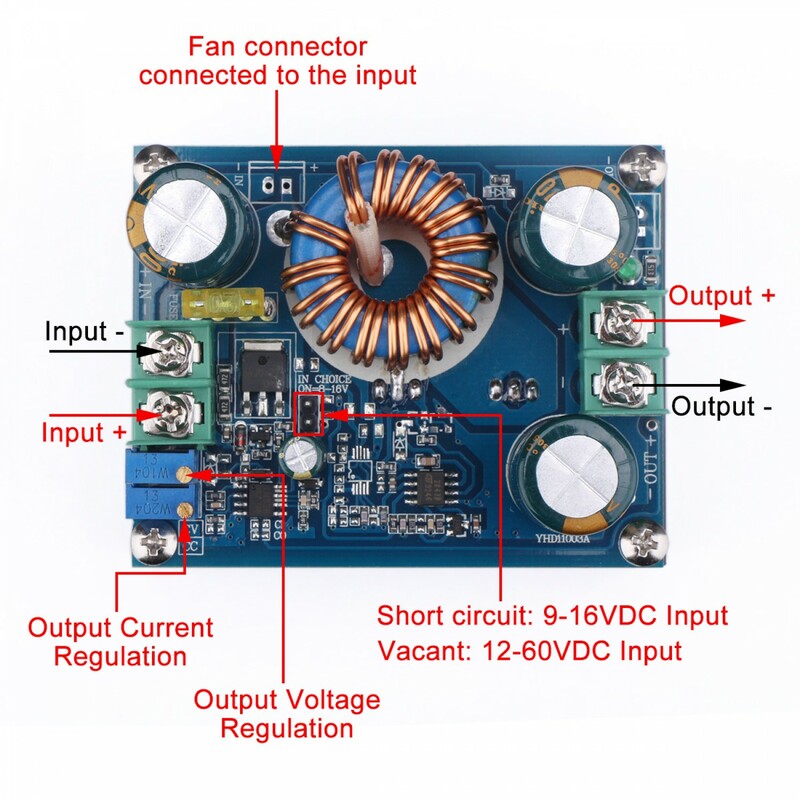 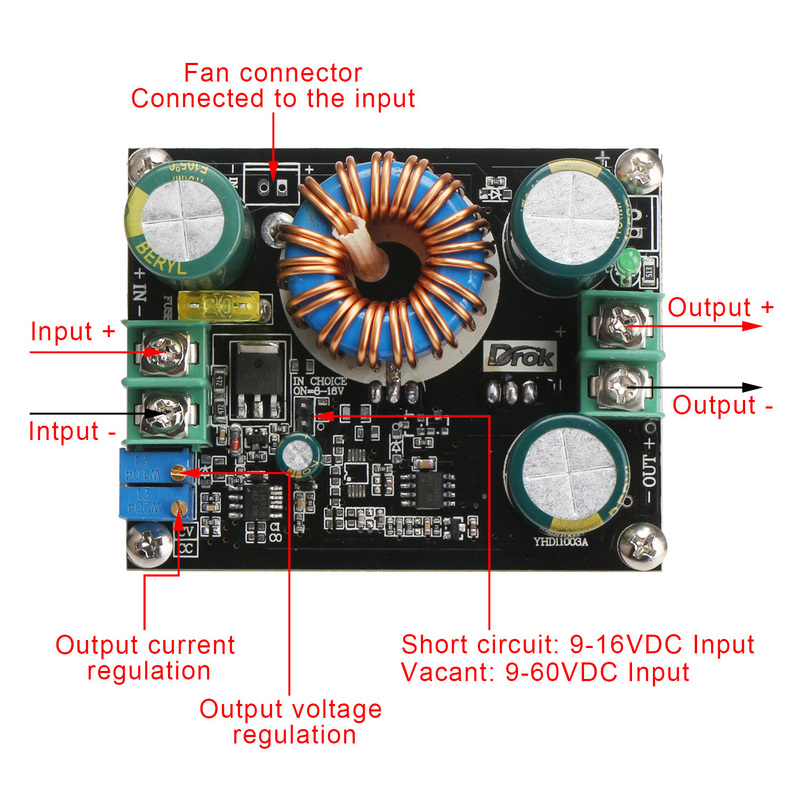 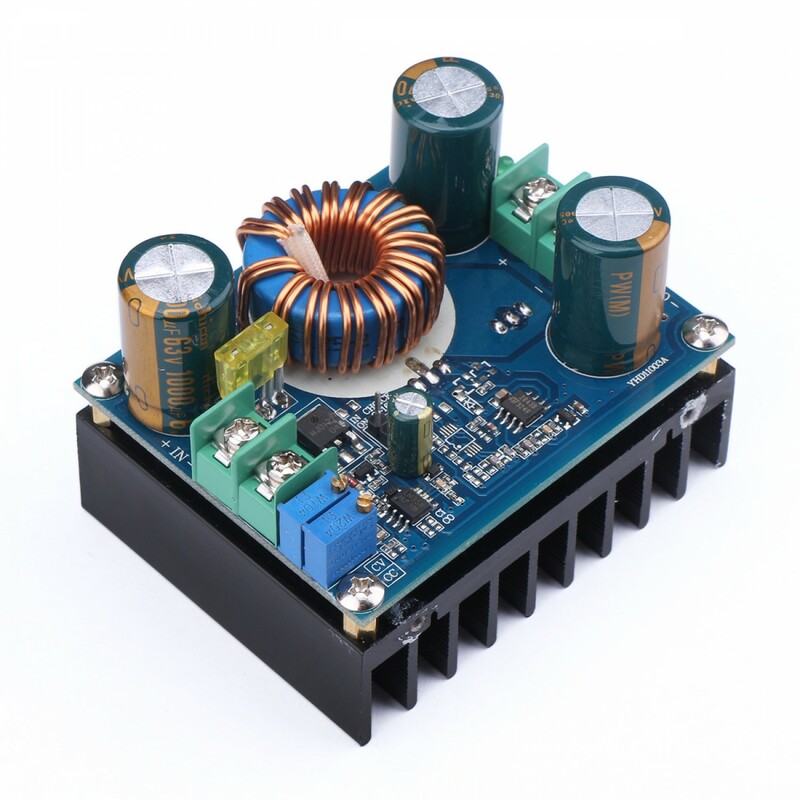 Output power: = Input voltage * 10A, such as: input 60V * 10A = 600W,if need more output power, such as need the output to 15A,two modules can be used in paralle, the current of each module can be adjusted to 8A. 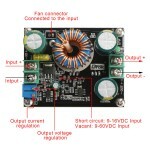 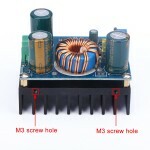 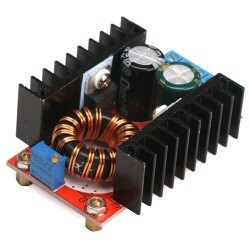 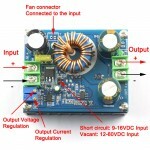 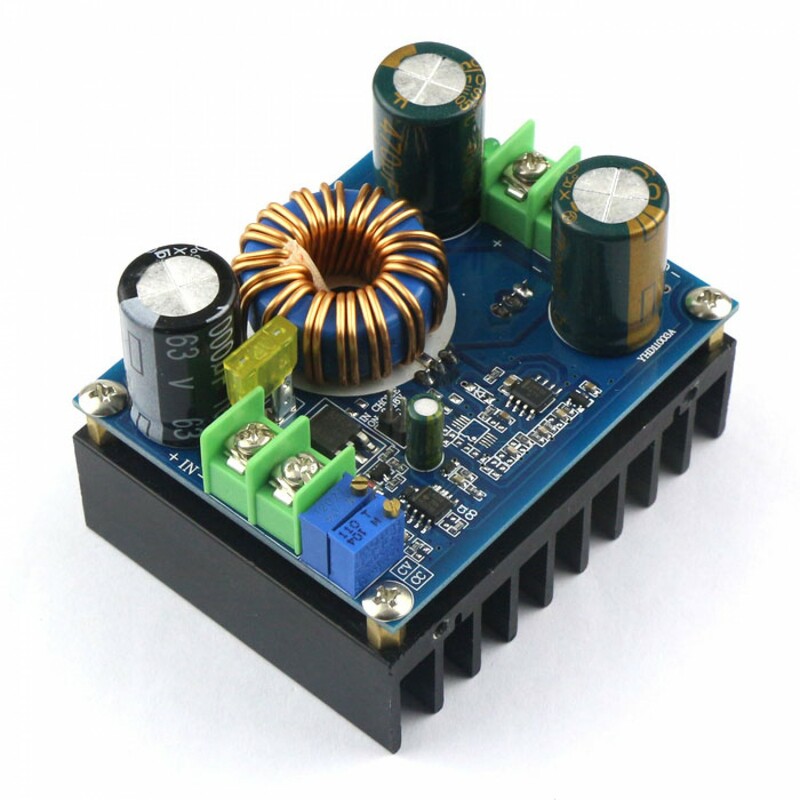 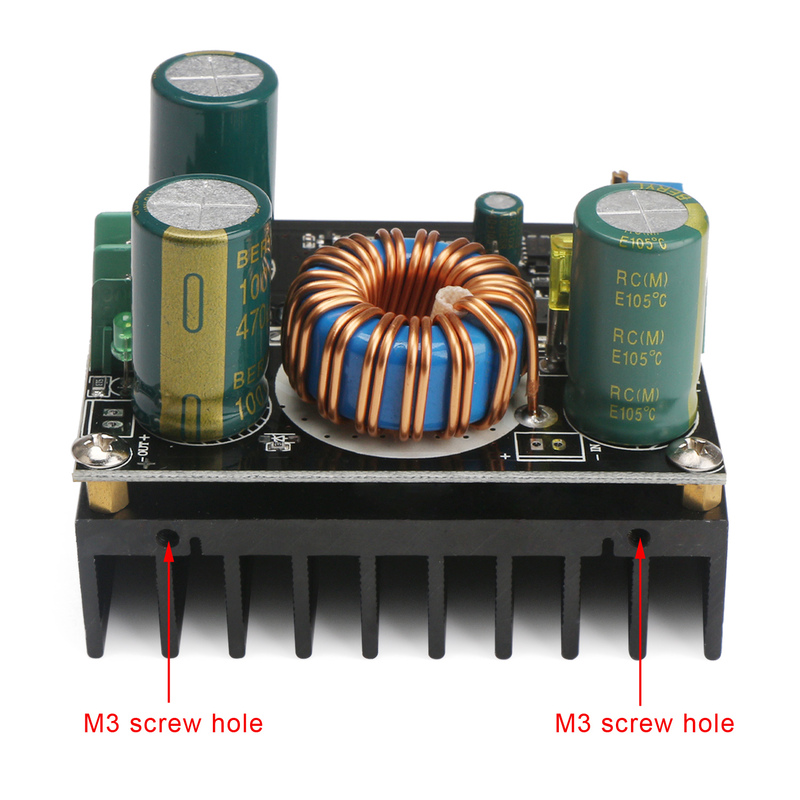 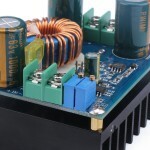 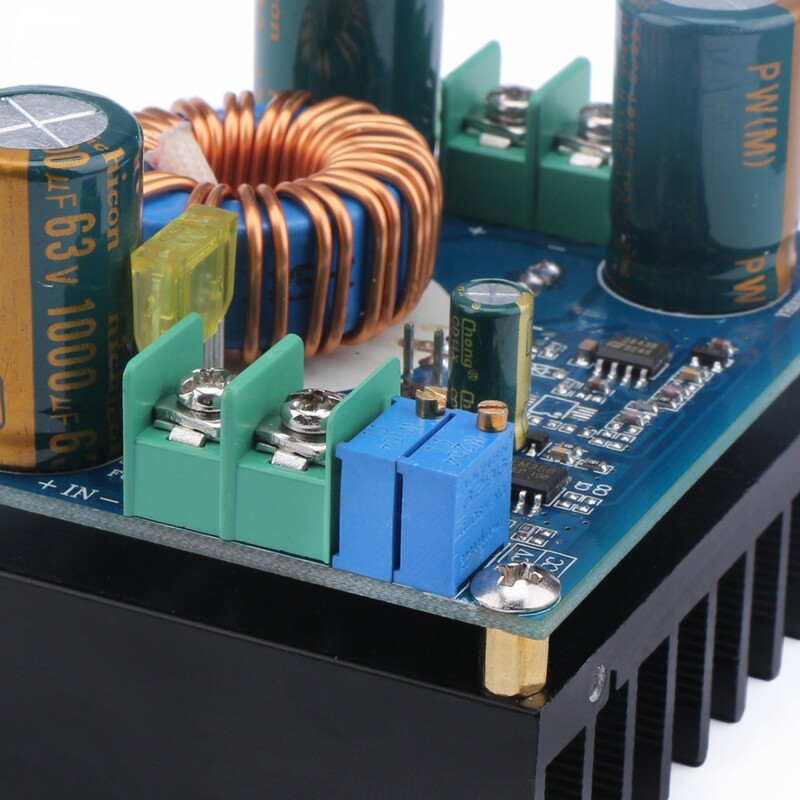 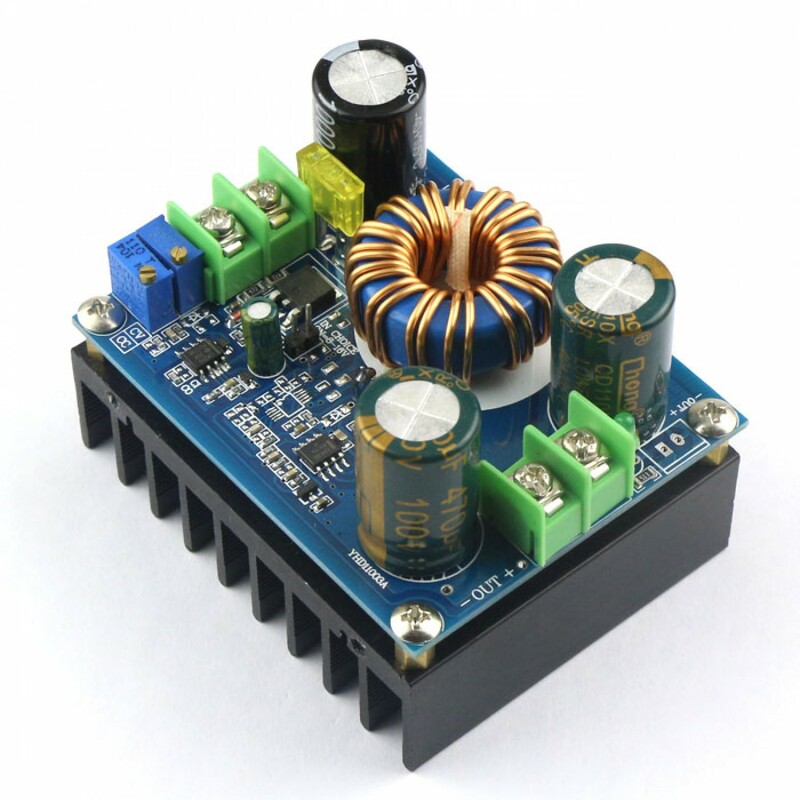 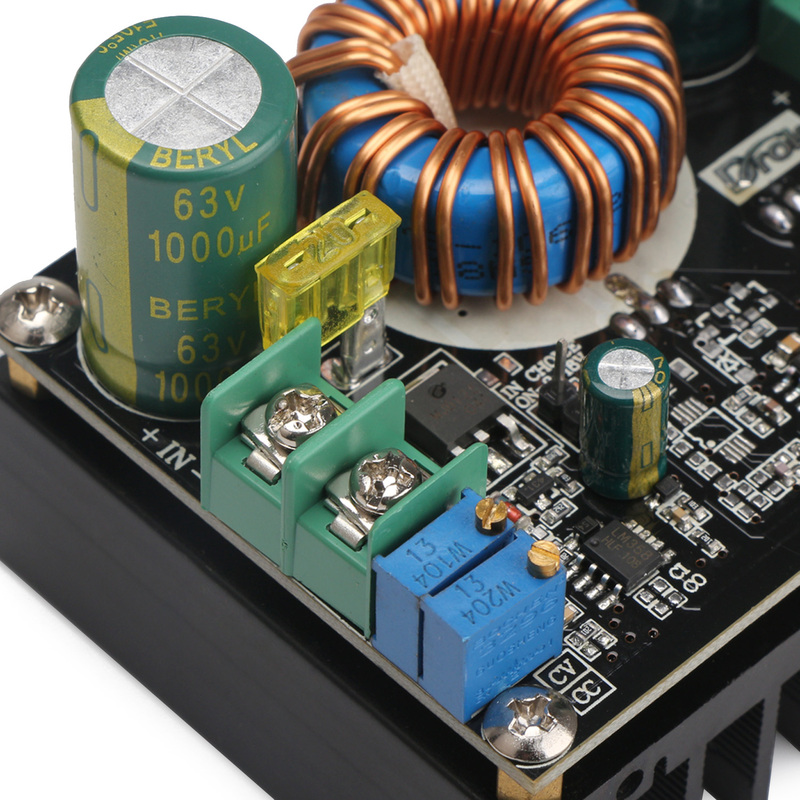 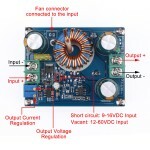 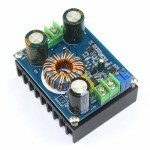 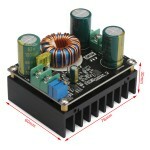 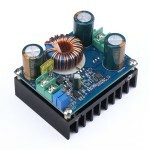 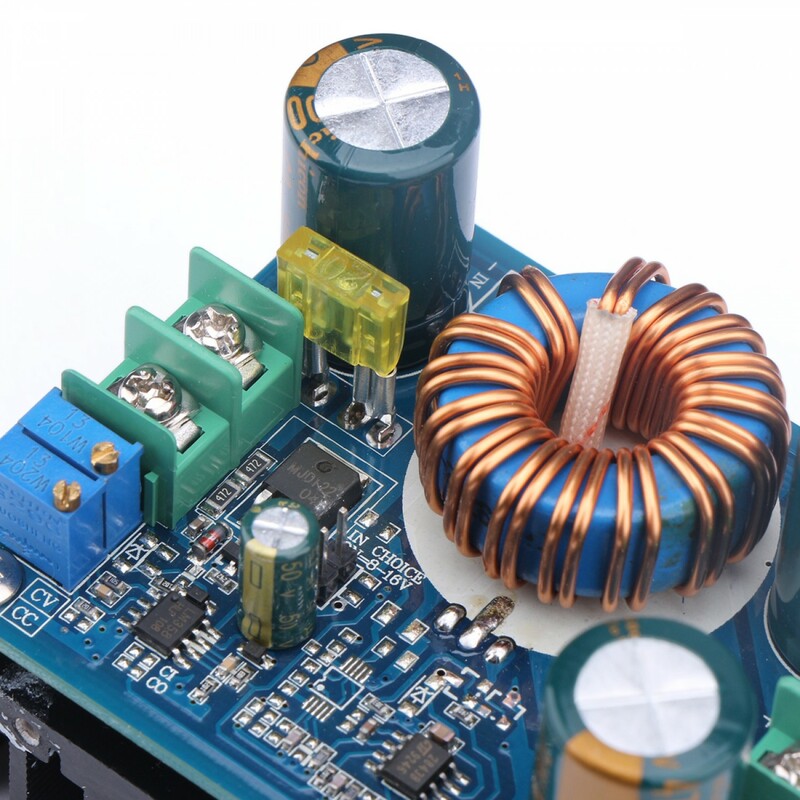 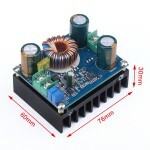 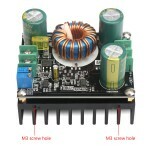 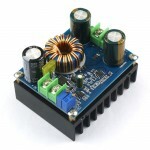 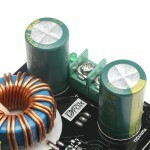 DIY a regulator power supply, input 12V, output can be 12-80V adjustable. 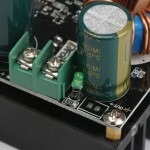 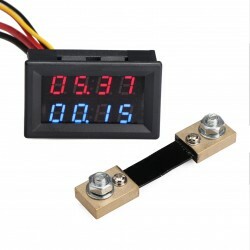 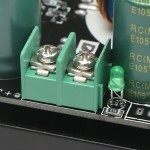 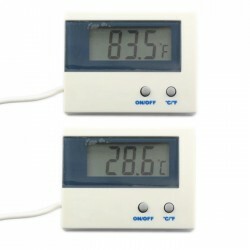 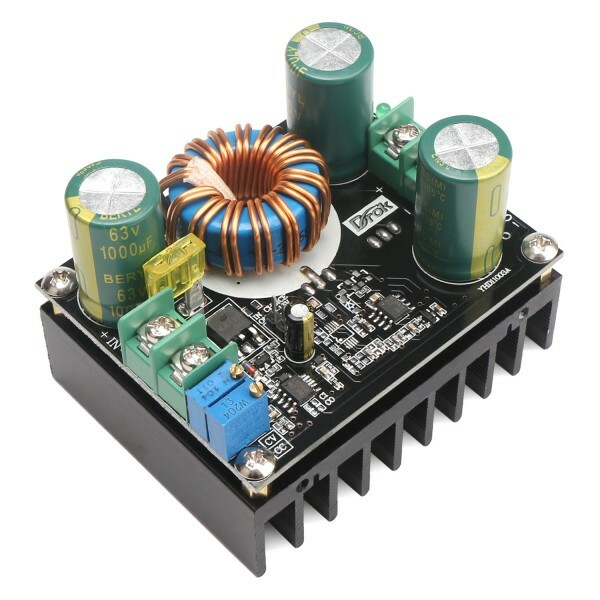 For battery charging, the need to battery is fully discharged,then connected to the output, and then adjusted to the desired current. 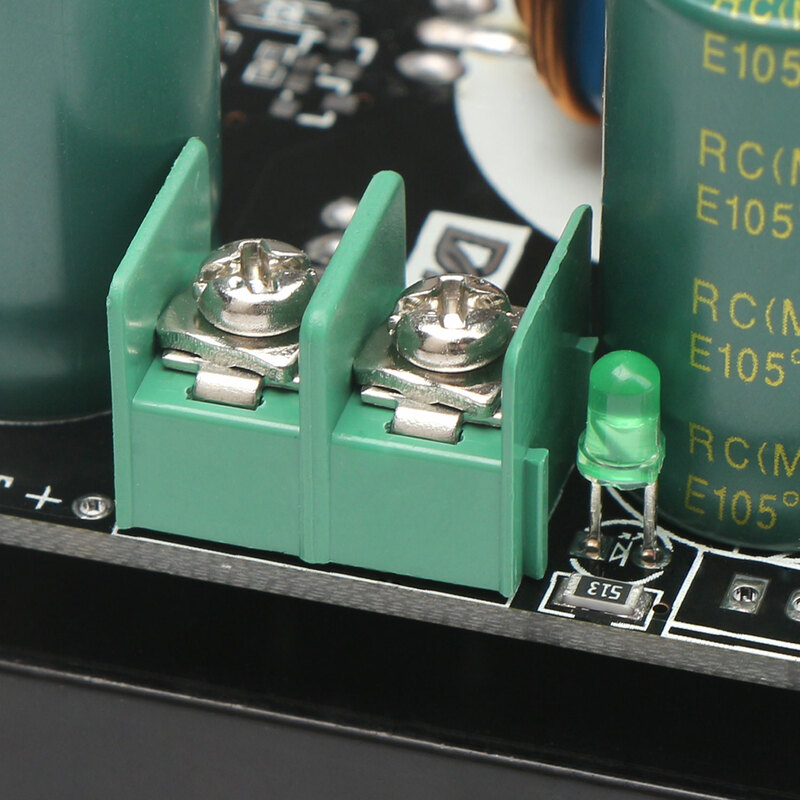 Because the more the battery remaining, the smaller the charge current. 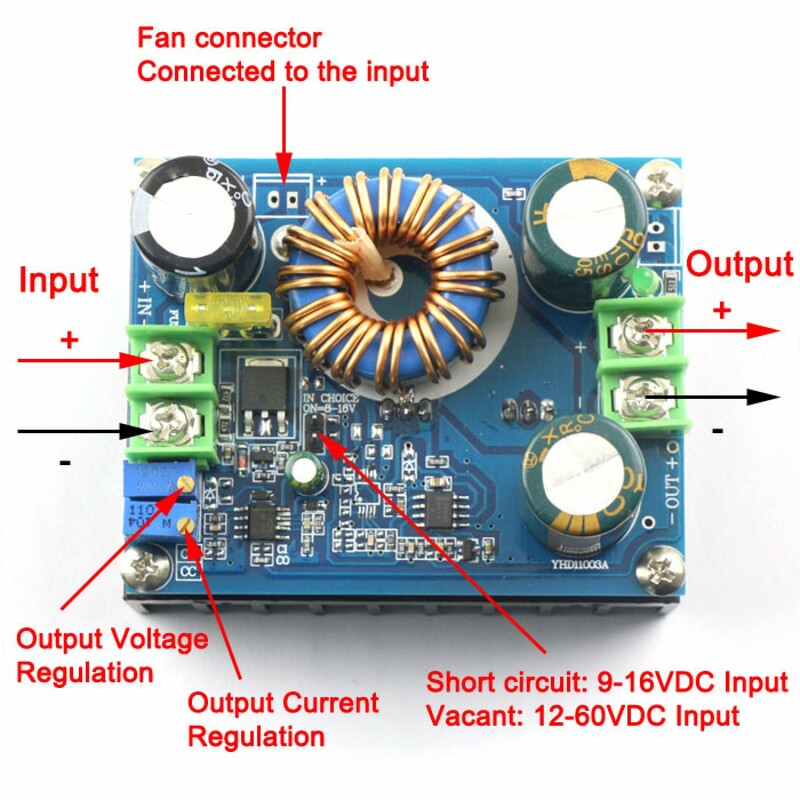 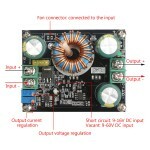 When the Input voltage rang of 9-12VDC (short circuit method), under this state, the module circuit can not be adjusted.